AFTER SIMMERING for months, the speculation about the likelihood of a Joe Biden presidential campaign — and about the impact of his oldest son's death from brain cancer in May — has suddenly gone to a boil. Vice President Joe Biden grew emotional on "The Late Show" while discussing his son Beau, who died of brain cancer in May. On Tuesday, Politico reported that Biden himself had been the source for a blockbuster New York Times column by Maureen Dowd, which poignantly described a dying Beau Biden urging his father to enter the 2016 race so that "the White House should not revert to the Clintons." Biden's staff denied the report, but a Biden super PAC aired its first ad on network TV the following morning. The 90-second spot features clips of Biden speaking at Yale, just days before Beau's death, about an earlier tragedy: the deaths of his first wife and young daughter in a 1972 car accident. As it ends, the words "Joe, run" appear on screen. CNN reports that Biden is convening a "family conversation" this weekend to discuss a potential candidacy. Will he? Won't he? 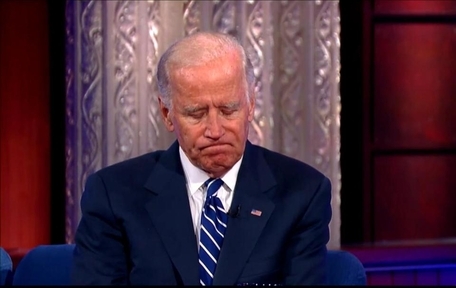 One thing is certain: If Biden does run, his private anguish will be a key element in his public narrative. Critics may argue — some already have — that how a man handles deals with heartbreaking loss is a poor criterion for selecting a commander-in-chief. But that's a judgment for voters to make, and in recent decades would-be presidents of both parties have gone out of their way to invoke moments of personal suffering or sorrow. Al Gore spoke movingly of his sister's death from lung cancer; John McCain's political image is inextricable from his experience as a tortured POW in Vietnam. In politics, writes Slate's Josh Voorhees, "pain can be powerful" — and modern politicians know it. That doesn't lessen by an iota the agony of having to bury one's child, a devastation Biden is now experiencing for the second time. To those of us who are not politicians, the thought of launching a White House bid while simultaneously mourning a son's death might seem incomprehensible. Biden, however, is a politician. Politics is what he does. Life is for the living, and it goes on even after profound heartache. Men and women the world over weep for their dead, then resume their lives and careers. CEOs and teachers and military officers and doctors find the resilience to carry on in the wake of terrible loss. Ambitious politicians do too. If he gets in, Biden would not be the first candidate in the 2016 race who has outlived a son or daughter. Carly Fiorina's stepdaughter Lori died in 2009 at age 35, a victim of alcohol and drug addiction. Nor is Biden the first president or vice president to lose a child while in office. 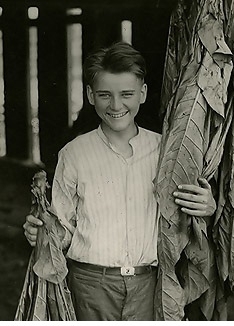 In 1924, shortly after Calvin Coolidge clinched his party's nomination to run for a full term as president, his teenage son and namesake, Calvin Jr., died of blood poisoning caused by a blister on his right toe. Coolidge went on to win the fall election and was a popular and successful chief executive. But his son's death cast a permanent shadow. "When he went, the power and the glory of the presidency went with him," Coolidge wrote. Four years later, still grieving, he declined to run for reelection. Abraham Lincoln's 11-year-old son Willie died of typhoid fever in 1862, in the midst of his father's presidency. As in Biden's case, He was the second of Lincoln's children to die young: Edward Lincoln had succumbed to diphtheria in 1850, at age 3. In the summer of 1924, just days after his father was nominated to run for a full term as president, Calvin Coolidge Jr. died at 16 of blood poisoning caused by a blister he got while playing tennis. "When he went, the power and the glory of the presidency went with him," his heartsick father wrote. Just days before Franklin Pierce's inauguration as the 14th president, his son Benny was killed in a train wreck before his parents' eyes. He was the third of Pierce's children — and the third to precede his parents in death. Even worse was the fate of Thomas Jefferson, who buried five of six children he had with his wife, Martha (who also died young, at 33). The death of his daughter Polly in April 1804 plunged Jefferson into despair; he wrote to his sole surviving child, Patsy Jefferson Randolph, that he yearned to be free of political obligations. Yet he was reelected president that fall, and served another four years. "There is no more remarkable common denominator among American presidents than their early encounters with premature death," observes Doug Wead in "All the Presidents' Children," a sobering history of the First Families. "Twenty-six children of presidents died before the age of five, and dozens more before they reached thirty. Rutherford B. Hayes had seven children; three died before their second birthday. John Tyler lost three of his adult daughters within a six-year period." Franklin Roosevelt, Dwight Eisenhower, John F. Kennedy, Ronald Reagan, George H. W. Bush — all underwent the trauma of burying a young child. "We must not create an atmosphere of sadness in the White House," a grief-stricken JFK resolved after the death of his newborn son Patrick in August 1963. "This would not be good for anyone," he told his wife Jackie, "not for the country and not for the work we have to do." Those words can offer guidance as the freshly bereaved Biden ponders his political future. For JFK was right: A public "atmosphere of sadness" can never be good for the White House, no matter how much private sadness its occupants have endured.